Conference on Soft Tissue Rheumatism with reference to ‘Anukta vyadhi Chikitsa’. Date: 2018, December 8 & 9. Padma shri. Dr. P. R. Krishnakumar. Dr. G. SYAMAKRISHNAN MD (Kayachikitsa) Dr Syamakrishnan is Chief medical officer in Indian systems of medicine department of Kerala. After initiation to this great science at Coimbatore and Trivandrum Ayurveda Colleges, he was fortunate to get trained under traditional ayurveda stalwarts like Vaidyamadom Cheriyanarayanan Nampoothiri and Poomulli Neelakantan Nampoothiripad. Working with total devotion in health service delivery, his mission in life is to re-validate, standardize and make ayurveda popular to the masses by making the treatment cost-effective. With this objective, he designed a project on Cost effective and evidence based Ayurveda funded by people’s campaign of Govt of Kerala to manage 100 diagnosed Inter Vertebral Disc Prolapse patients. He has presented in international and national seminars, CME programs; and is a member of state level institutional review board of Govt of Kerala, as well as a member of scientific committee and research wing, Indian systems of medicine. Dr Syamakrishnan is a resource person to various ROTPs, teaching and training programs, and has done educational programs in All India Radio and other private TV channels. He has authored scientific and related articles in different magazines and journals. He was conferred with many prestigious awards including "Caraka Award", "Ayurveda Gnana Bindu" and "Dhanwantari Award". Dr. Prakash Mangalasseri Dr Prakash Mangalasseri s academic credentials start with being gold medalist for his BAMS and MD(Ayu), and he is now in pursuit of his PhD as well. This Associate Professor (Kaya Chikitsa) at Kottakkal Ayurveda College, has got the Best Research Thesis award, Best UGC Program Award etc to his credit. He has been invited speaker at national and international workshops of Ayurveda, and is resource person and member of various prestigious Ayurveda panels. Dr Prakash has been contributor author, reviewer and editor of many Ayurveda journals, and his published work has been appreciated. Dr. Prakash s experience and skills as a researcher, teacher, guide and clinician, are laudable. Dr Jithesh M.K This Ayurveda Physician of Kottakal Arya Vaidya Sala completed his Ayurveda graduation from Rajiv Gandhi University of Health Science, and completed his post-graduate studies in Rasa Sastra and Bhaishajya Kalpana in the same University. Dr Jithesh has not only clinical experiences to his credit, but also adequate experience in the practical as well as pharmaceutical aspects. He is also renowned for his interest in Academics and has handled classes ranging from national to international levels, in the field of Rasa Sastra. His main area of interest is to develop Clinical Rasa Sastra, which he believes is where Ayurveda’s future lies. For this, he incorporates his modern pharmaceutical knowledge along with ayurvedic concepts without deviating from its Basic Principles in each and every clinical case he deals with. He has a few articles published in some reputed peer-reviewed journals as well. Dr. Jomon Joseph Daniel After his Ayurveda graduation from Thripunithura Govt.Ayurveda College, and post-graduation in Kaya Chikitsa from Trivandrum Govt. Ayurveda College, Dr Jomon Joseph Daniel has offered his service as Senior Medical Officer in the Indian Systems of Medicine Department, Govt of Kerala. He is now working at the Govt. Ayurveda dispensary, Nilambur. His specific areas of clinical interest include Clinical neurology, infertility. He has co-authored a book on ‘Human Cognition’, and has published a paper on "Management of Motor Neuron Disease". Dr. P. M. MADHU Dr. P. M. Madhu is a Resource Faculty, an Ayurveda teacher, an International Trainer, writer and speaker. He is Assistant Professor in Roganidanam Department of Govt. Ayurveda College, Kannur – Kerala. After his graduation from Kottakkal Ayurveda College, he took his Post Graduation from Kannur Govt. Ayurveda College. He is a Junior chamber international trainer, and a Resource faculty for training medical officers and professional students. Dr Madhu has won the prestigious P.S.Warrier National Essay award instituted by Kottakkal Arya Vaidya Sala, four times. He has participated and presented scientific papers in various national and international seminars. The books he has to his credit are ‘A working model for Diagnosis in Ayurveda’, ‘Gulmam’, ‘Consultations in Ayurvedic Dermatology’. He has also authored two popular health Ayurveda awareness books in regional language. It is interesting to note that he has written a malayalam novel ‘Uyir Ariv’, based on the pasts and presents of the ancient medical science. Dr. S P Sreejit Dr. Sreejit is Medical Officer with the Government of Kerala, after completing his Ayurveda graduation and post-graduation in Trivandrum Govt. Ayurveda College. His area of propagation is parasurgicals of Ayurveda, and has already reached out to around 5000 doctors with his awareness lectures. He regularly trains internees from 18 Ayurveda colleges through two whatsapp groups. With technology support again for Ayurveda, he has made a full digital documentation of his first hand experience of 35 days in Kuti Pravesika Rasayanam treatment as well. Dr Mallika K J This Ayurveda Physician, who has Best teacher awards too to her credit, completed her MD in Samhita, and PhD in Moulika Siddhanta. Dr Mallika has over 16 years of teaching experience, and is offering her service at Ayurveda College, Hassan now. Dr Mallika is a recognized PG & PhD guide, and is member of various Ayurveda Committees. She has edited and translated the book Charaka Sruti Prakasam, and is a reviewer for Ayurveda Journals JREIM & AYU. She has been the Prinicipal Investigator for many prestigious research projects. She has authored and published many important research papers; she has participated in Ayurveda training programs, as well as organised national seminars. Dr Mallika has conducted popular health talks in All India Radio. Dr. S. H. Acharya Dr. Srinivas Hejmadi Acharya has MD and Ph.D. in Ayurveda, to his credit. Born in Udupi (Karnataka), he has experience in the field of medical practice for more than 30 years. He is a physician, professor and research scientist. He is rendering his service now as Hon.Professor of Panchakarma at Gujarat Ayurved University, Jamnagar. Dr Acharya has served as a faculty member at Gujarat Ayurveda University, Jamnagar (India) for about 25 years, as Professor & head of the Panchakarma Department, and Director of the International Center for Ayurvedic Studies at the University. He also served as Program Officer for WHO Collaborative Projects of Gujarat Ayurved University. He voluntarily retired from regular services of University in the year 2011. He is the author of the book “Science of Marma – in Ayurvedic diagnosis & treatment”, which was published in 1998 and 2014, and now in foreign languages too. He has travelled widely, delivering lectures, attending workshops and providing health consultations since more than 20 years, during which he has visited places including USA, Canada, Central America, Latin American countries, Switzerland, Belgium, France, Germany, Spain, Slovakia, Serbia, Israel. Dr Ajayan Sadanandan Professor, Department of Dravyagunavignana, Ashtangam Ayurveda College, Vavannur, Kerala. Aer doing his B.A.M.S, he has pursued his M.D, Ayurveda and Ph.D in Dravyaguna, Born and brought up in Agastya Marma Shastra praccing family (his grandfather Brahmashree O Keshavan Nadar Swami, was first head of Marma department, Trivandrum Ayurveda college), he taught and trained Agastya Marma under the guidance of late Vaidya Sri Raghavan. His current focus is on Ayurveda's importance in biodiversity conservaon and is an Ethno-medico botanical informer and researcher. Bursitis Subacromial bursitis, Trochanteric Bursitis, Ischial Bursitis, Olecranon Bursitis, Prepatellar Bursitis, Pes Anserine Bursitis, Retrocalcaneal Bursitis, Calcaneal Bursitis. Tendonopathy Foot & Ankle, Achilles Tendon Rupture, Achilles Tendonitis / Tendinitis, Peroneal Tendonitis, Tibialis, Posterior Tendinopathy, Knee, Patella Tendonitis (Tendinopathy), Pes Anserinus Bursitis & Tendinitis, Hip & Groin, Adductor Tendinopathy, Gluteal Tendinopathy, Shoulder, Shoulder Tendonitis, Shoulder Impingement, Rotator Cuff Calcific Tendinitis, Rotator Cuff Tear, Bicep Tendonitis, Swimmer's Shoulder, Elbow, Tennis Elbow, Golfers Elbow, Wrist & Hand, De Quervain's Tenosynovitis. Fasciitis Myofascial Pain, Carpal tunnel syndrome, Tarsal tunnel syndrome, Tennis Elbow (Lateral Epicondylitis), Golfer's Elbow (Medial Epicondylitis), Tenosynovitis, Plantar Fasciitis, Piriformis syndrome, Fibromyalgia, myofascial pain syndrome, flatfoot and the hypermobility syndrome, Trochanteric syndrome, Iliotibial band syndrome, Costochondritis. Ligament Injuries Knee Ligament Injuries, ACL Injury, PCL Injury, MCL Sprain, LCL Sprain, Posterolateral Corner Injury, Patella Dislocation, Superior Tibiofibular Joint Sprain, Ankle Ligament Injuries, Sprained Ankle, High Ankle Sprain, Shoulder Ligament Injuries, AC Joint Injury, Dislocated Shoulder, Wrist & Hand Ligament Injuries, Thumb Sprain, Finger Sprain, Spinal Ligament Injuries, Back Ligament Sprain, Neck Sprain, Text Neck, Whiplash. 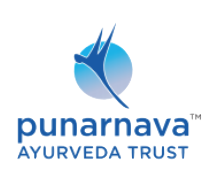 Ayurveda Physician - Rs. 2000. ​Ayurveda Students - Rs. 1500.